Samsung Electronics extends its Galaxy family with four new additions – the Samsung Galaxy Ace (S5830), Samsung Galaxy Fit (S5670), Gio (S5660) and the Samsung GALAXY mini (S5570). Samsung says that the new Galaxy smartphones was inspired by the success of the original Samsung Galaxy S, which has sold over 10 million devices in just seven months. The new phones runs Android OS, come equipped with Wi-Fi connectivity and Social Hub which lets users view their contacts, SNS, IM and email together in an integrated one-page layout, QuickType by SWYPE text input and access to Android Market and Samsung Apps. 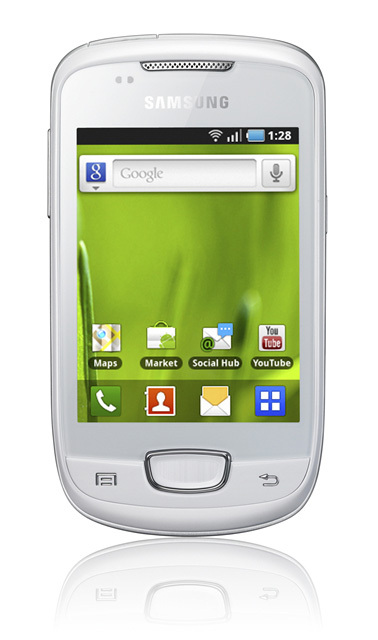 The first, Samsung Galaxy Ace (S5830) packs 800 MHz processor, a 3.5-inch capacitive touchscreen display with HVGA(320×480) resolution and running Android 2.2 Froyo. 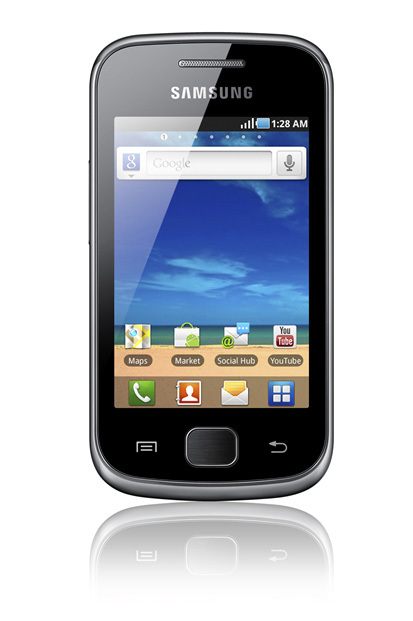 There is also GPS, Wi-Fi b/g/n, 3G with 7.2 Mbps HSDPA, Bluetooth 2.1, microUSB, 3.5mm jacks and 5 megapixel camera at the back. 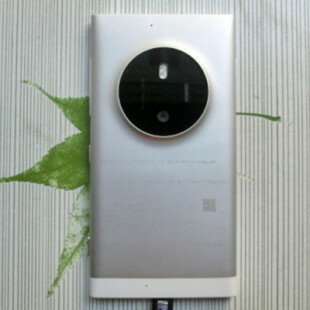 The Ace is expected to be available soon across Europe, India and China in black and white versions. 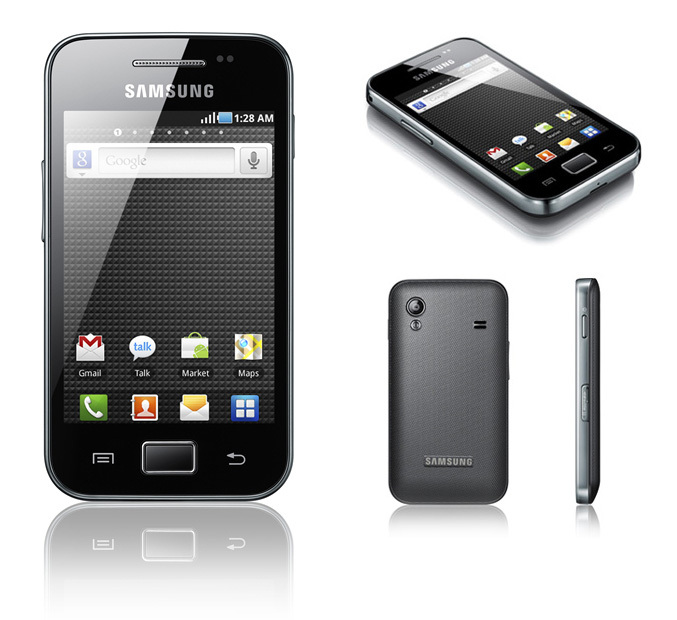 The Samsung Galaxy Gio S5660 is equipped 3.2 inches HVGA display, Wi-Fi and social networking integration, available soon in Europe, China and India. Samsung Galaxy Fit S5670 is powered by 600MHz processor, has a 3.3-inch (320×240)‎ display, Wi-Fi, 5MP camera, available next month in Europe, India and South America. 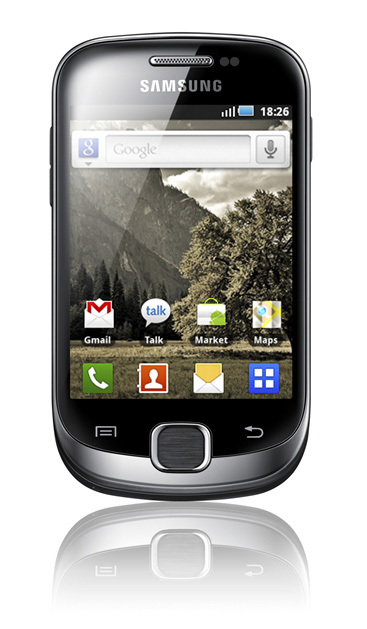 And finally is the smaller one – Samsung Galaxy Mini (S5570) wich comes with a 3.14 inch QVGA display, 600MHz processor, Wi-Fi, Quick Office document viewer and will be launched starting next month in Europe, India and South America. The Samsung GALAXY family will be showcased at the Mobile World Congress from February 14th to 17th in Barcelona.